We have all heard of the term ‘the Bank of Mum and Dad’, but did you know our parents are actually helping to shape the UK’s property industry? Recent research has revealed that among your traditional mortgage lenders of banks and building societies, the Bank of Mum and Dad (BoMaD) is playing a key role in helping shape the UK housing market. But how, exactly? We delve into the key findings of the research and look to the future of the Bank of Mum and Dad. The research, conducted by Legal and General, has found that parents are the equivalent of a £5.7bn mortgage lender, as more and more are helping their children take their first steps onto the property ladder. To break down the figures: 207,700 property purchases will be supported by parents, 45,500 by grandparents, and 63,300 purchases will be supported by friends and family. There is a considerable amount of pressure on first-time buyers to save for their first property, however, with many trapped in “Generation Rent”, it’s becoming more difficult to do so. With house prices increasingly out of reach for our younger generation, many are stuck on the renting ladder. With rents becoming more and more expensive, it’s becoming harder to save for deposits, therefore a rent cycle begins. A recent survey by Marks & Spencer Bank supports this view and found that a fifth of millennials do not believe they will ever be in a position to purchase their own home. There are some support networks young buyers can reach to as well as the Bank of Mum and Dad. Government-led scheme such as the Help to Buy: Shared Ownership scheme and the Help to Buy: Equity Loan. Some banks and building societies are also providing Help To Buy ISAs and Lifetime ISAs, which pay first-time buyers a government bonus to help get more younger and first-time buyers on the property ladder. What financial help is available for parents? When it comes to supporting their children to purchase their first property, some parents may need some financial help or information. 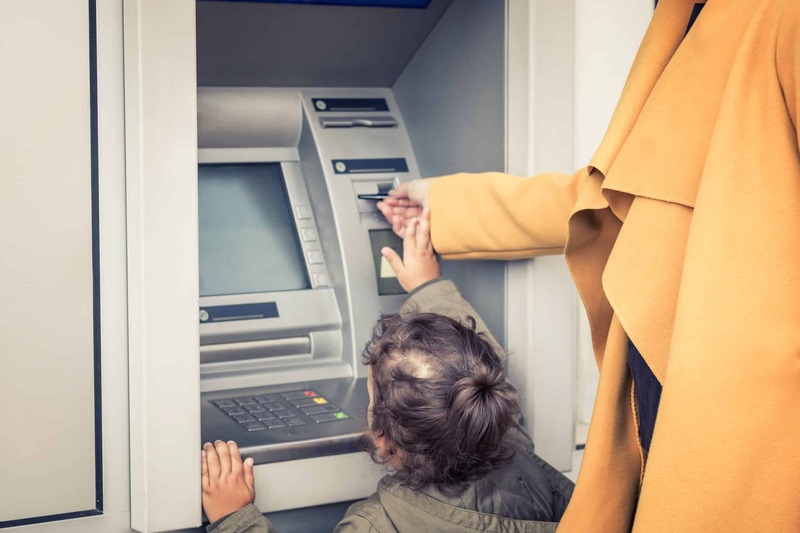 The Bank of Mum and Dad report found that 71% of parents use their cash savings to help their children get on the property market, with a further 41% using their current home as a means of providing the cash. Out of the 41%, half of parents chose to downsize their home. It’s often the case that as children leave the home, parents are left with properties that are bigger than their needs, so downsizing is often the best option. The remaining percentage includes parents who loan their children the equity release on their own home (14%) and those who choose to remortgage their home to release extra money (7%). For those parents who need extra support to help raise funds, there are some schemes that can help. There are a number of new mortgages available with the aim of helping first-time buyers get on the ladder with the help of their parents. The Post Office now offers the Family Link mortgage, which is targeted at first-time buyers who can afford monthly repayments but are struggling to save for a deposit, and parents who own their property outright but don’t have a large cash sum available. This type of mortgage works by lending 90% of the value of the property the first-time buyer wishes to purchase. The remaining 10% deposit is secured against the assessor’s property (the parent’s property). For this mortgage, the assessor’s property must be mortgage free. Another type of mortgage is the family offset mortgage. This is a great alternative to becoming a guarantor, or physically lending money towards a child’s first home. Parents can offset their saving against a relative’s mortgage, which helps the parent regain control and ownership of their money, while helping their child. Before making any decisions, we always advise that you seek professional financial advice. While the BoMaD is booming, it’s fair to say that it does not help alleviate the pressure of structural issues within the housing market. Relying on parents to help support the purchase of a first-time home may be the most suitable option for some families, however, it can be difficult for those who simply do not have the wealth to support their children with such big financial purchases. More help and support needs to be available to first-time buyers, to not only help increase their chance of getting onto the property ladder, but to also help reduce the pressure parents face.